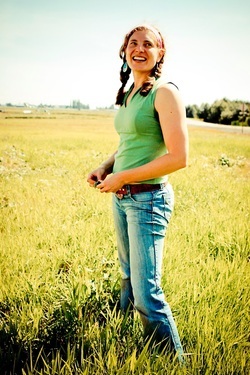 [Posted January 2014] Sarita Schaffer, founder of Viva Farms and a BALLE Local Economy Fellow, tells the story of the nonprofit farm incubator based in Washington’s Skagit Valley that is creating a pathway to ownership in the sustainable agriculture sector. Current farmers are getting older and there are less folks choosing to become farmers, with the exception of the growing population of immigrant workers. Seventy five percent of the agricultural workforce in the United States is foreign born and that workforce is keeping the whole food system in the US moving. If you look at supporting industries–food processing, packaging and transport–those too are dominated by immigrant workers. But to accomplish this shift we have to overcome a high barrier to ownership. My husband and I have first-hand experience with it. We were working on farms when we were 19 and looking for a pathway of entry to start our own. We found the initial startup costs compared with what revenue we could expect in the startup years just didn’t pencil out. If you think of the original model of agricultural, farms have traditionally been passed down through families, so most new farmers were inheriting some land and equipment and infrastructure. New entrants without those family connections don’t start out with any of that. So they are at a huge disadvantage and that was something we wanted to address with the Viva Farms incubator. Typically we see people securing land by renting, because buying land is extremely expensive in these parts. But then they spend any capital they have on tractors and buildings and they don’t have the resources for production and marketing. They have all this investment and no revenue. So Viva takes the most expensive capital investment a new farmer has to make–in equipment and infrastructure–and creates a lease rate for that and rolls it into a big package so they can lease instead of own at the outset and focus instead on production. It is a multigenerational pursuit. Out of that course people develop a rough farm plan. Then there is a follow up, twelve-week farm business course to clarify how their farm will work in terms of day-to-day operations. We do a huge amount of ongoing business support, walking people through developing good accounting habits to keep track of their accounts payable and receivable invoices on all transactions and doing a yearly review on how the farm is going to scale up. We look at what emerging markets might be in their area and how to connect with the community and use their friends and families as a resource. After these courses are completed they can farm in the Viva incubator. We are located in the Skagit Valley in northwestern Washington, a place that is unique in having some of the best agricultural soil in the world. Beginning farmers lease their own parcels from us, as little as half an acre, and our largest is six acres on Viva’s main site. Starting out farmers have access onsite to tractors, implements and basic infrastructure including small-scale equipment for washing and processing. Most important is cold storage, which is hard for a small farmer to access. We have secured a loan from RSF Social Finance for equipment purchase and retail infrastructure development. On the human capital side we have a team that helps with production, whether that be a pest outbreak or low fertility issues. We offer ongoing technical assistance in partnership with Washington State University. We recoup our costs for that by building a margin into the produce that we resell for the farmers. We also have a marketing and sales team that organizes collective sales for all the Viva farmers, reselling to larger markets, particularly to Seattle, our closest metropolitan area. So as they spin off on their own the farms have an association with the familiar Viva brand that they can build on. As the farmers scales up there is land in close proximity on which they can expand their own production and still receive Viva services for marketing and promotion. They can also continue to lean on Viva if they have problems with production, and there is a central management of the site itself with Viva helping to maintain roads and irrigation. So there is some collective management of infrastructure but each farm business is independent. They run their operations as separate enterprises. Each operates on their own and they take their entire business with them and customer list. One of the biggest challenges in transitioning from farm workers to managers and owners is to step into a decision-making role. Sometimes the reality is you have to risk your own resources and do it independently. We have found people were more interested in doing that on their own rather than as part of a collective. Our farmers like to make their own swift decisions and they don’t necessarily have the time or financial wherewithal to sit on a coop board. As I alluded to earlier, one of the unique challenges with agriculture is the cash flow cycle. You have a large part of the year where you incur almost 100 percent of your costs doing the field prep and purchasing seed and fertilizer. And at minimum, in our part of the country, you have at least 190 days of low revenue because many of your crops are not mature yet. So there is the initial period where you need more investment before even cents are coming in the door. Some new farmers are able to shoulder that but we found that even in those cases many were doing everything by hand cultivation in order to avoid purchasing a walk-behind tiller or to purchase implements to build other efficiencies because they didn’t have upfront cash. That meant they had a less profitable business than they could have. Many of the Latino farmers we work with have a really difficult credit history. Accidents may happen to them and they have no insurance, and they are supporting family members in their home country so their tiny savings is often sent back home. We were finding that a lot of beginning farmers were using credit cards and when they could not meet the monthly payment they were paying 25 percent interest. That was clearly unsustainable for the farms and dangerous to get into the habit of using credit cards. On the lending side, we were seeing with a lot of existing small farm lending models we saw people getting together in investor groups and loaning one to one, making smaller direct loans. These are incredibly risky, not only for the lender because he has not diversified his risk among multiple loans, but also for the farm community because if one thing goes wrong with one loan it blows it for the whole local agriculture community and scares people away from investing. So we created a loan fund in partnership with North Coast Credit Union to try to address these issues for both lenders and borrowers. We explored a series of financing models with North Coast and what struck us as the most promising was the loan loss reserve model. North Coast would lend five dollars of member deposits for every one dollar in the loan loss pool. Our loan loss reserve is donor funded by local investors who view the program as a way to seed future investment opportunities and we now have $25,000 in the fund. 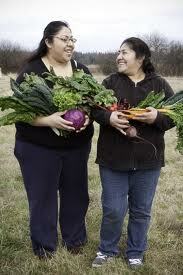 Nelida Martinez (right) and her daughter Lizette Flores of Pure Nelida Farms, A Viva Farm since 2009. Pure Nelida began as a two acre farm and has since expanded to five acres. We charge nine percent interest for loans that have no asset backing. Typically these loans are very small, under $10,000 and most are under $5000, and they must be repaid within a year. They basically provide upfront cash for the season. We charge a lower rate for equipment because it is asset-backed. Part of our goal is to help people rebuild their credit standing and to develop a trust and understanding of how financial institutions work. We also offer financial literacy services as part of the loan program. So far no one has defaulted on a loan. 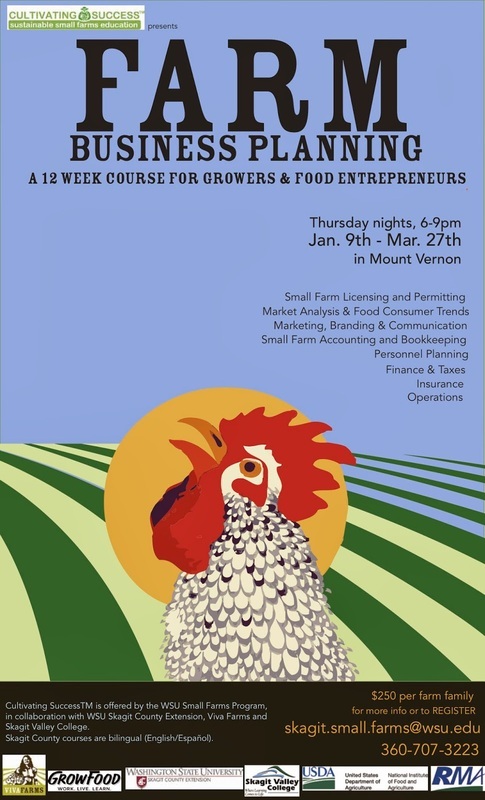 If you are interested in replicating or adapting the Viva Farms model in your community you can contact the National Incubator Farm Training Initiative (housed at Tufts University). This project offers technical assistance to new farm incubators. If your state has a land grant university with local extension offices, these can also be a great partner, due to their agricultural expertise. Slow Money or BALLE are also good sources to tap. They will have their fingers on the pulse of the local and regional programs in your area.